6.5x47mm Lapua cartridge in barrel — cutaway after 4000 rounds. This Cartridge Guide was written by the 6.5 Guys. Visit their site at www.65guys.com. 1. A long case neck provides more flexibility when seating bullets. One can chase the lands as the barrel wears without running out of neck to hold the bullet. 2. High pressure capacity (435 MPa / 63090 psi) and efficient case design yields excellent velocities along with excellent brass life. 3. The 6.5×47 Lapua uses small rifle primers that are easier to seat and allow for higher overall pressures. 4. Barrel wear is reduced compared to larger-capacity cartridges. This can be attributed to the 30-degree shoulder angle and excellent case efficiency. 5. The cartridge has a base diameter and overall length similar to the .308 Winchester. This allows it to use the same .308 bolt face and use magazines sized for the .308 Win family. 6. The 30-degree shoulder reduces case growth and need for trimming. First released in 2005, the 6.5×47 Lapua cartridge celebrates its 10th Anniversary in 2015 and it is clearly a success. This cartridge has made considerable inroads into various precision shooting disciplines where excellent accuracy, good ballistics, and ample barrel life are primary considerations. For example, the 6.5×47 is one of the most popular chamberings in the ultra-competitive Precision Rifle series. Competitive shooters tend to be high-volume shooters, so the reduced barrel wear can mean the difference between swapping out a barrel once each season or twice each season. WARNING: The table shows MAXIMUM Loads. ALWAYS start 10% below these loads and work up. Seating depths have a huge effect on case pressures. Moving the bullet just .010″ one way or another can push a “safe” load into the danger zone. Lot variances with powders can be extreme. Whenever you buy new powder, even the same brand, start 10% low. NEVER assume pressures will be safe if you change lots or ANY component. Case web growth is probably the most reliable indicator of over-charge. By the time you’re getting stiff bolt lift or ejector marks with fresh brass you’ve exceeded proper pressure levels. Ambient temperatures can alter pressures considerably. Don’t assume cold weather loads are safe in summer. As you approach max loads, reduce the load increments. Just 0.2 grains can make a difference. NOTE: Velocities shown are from barrels known to be faster than average. Don’t chase velocity with a slow barrel. It is easy to find accurate loads for a rifle with a variety of components. If a rifle can’t shoot the 6.5×47 Lapua accurately something is most likely wrong with the rifle. Many of the popular loads for the 6.5×47 Lapua involve powder fills at or close to 100% with long, high-BC bullets that push down into the powder column. These compressed loads result in the familiar crunching sound one hears of powder being compacted in the case when seating a bullet. Unless the powder is completely settled it will push back against the bullet a little differently each time. These differences will result in seating depth variations but will also affect concentricity due to bullet yaw. The goal is to settle the powder as consistently as possible across all cartridges and if possible avoid powder compression altogether. Even if a load remains compressed, variations can be minimized with consistently settled powder. Powder can be settled through vibration or the use of long drop tubes. A more in depth discussion of the topic can be found here: 6.5×47 Bullet Seating Tips. Lapua is currently the only manufacturer of 6.5×47 Lapua brass. Fortunately, the brass is of very high quality, comes factory-annealed, and is readily available from most vendors, such as Grafs.com, that sell ammo reloading components. Many precision hand-loaders typically anneal their brass every 1 to 3 load cycles to maintain consistency in the reloaded ammunition and to prolong brass life. It is not uncommon to have 6.5×47 brass last beyond 12 load cycles. Anecdotally, some reloaders claim over 20 reloadings. Long brass life is good for your wallet, as cost savings accumulate with each additional reloading cycle. The more times you use a case, the lower the cost per round. Most shooters of the 6.5×47 Lapua cartridge use bullets between 108 to 140 grains in weight. Currently, the most popular projectiles in use by long range shooters are between 120 to 140 grains. The Lapua 123gr Scenar is a favorite — it is easy to tune, reasonably priced, and not fussy about seating depth. With advanced powders such as Alliant’s Reloder 17, the 6.5×47 Lapua can deliver surprising velocities, even with the heavy 139-142 grain bullets. However, we still think the 120- to 130-grain bullets may be optimal for this cartridge. Just released in June 2015 was the new Berger 130gr AR Hybrid OTM Tactical bullet. Optimized for mag-length loading, the new 130gr Hybrid should prove popular for tactical competitions and PRS matches. Below we have tabulated a comparative analysis of different common projectiles in use by long range precision shooters using 6.5×47 Lapua. This table shows the potential external ballistic performance shooters may expect from different projectiles. The external ballistics were calculated using JBM Ballistics. Bullet data such as BC (ballistic coefficient) uses data from the JBM Ballistics bullet library using “Litz” values when available. Muzzle velocity assumptions are shown in the tables, and the following environmental parameters were used for all calculations: 0 feet altitude, 60.0° F, 29.92 Air Pressure, 50% humidity in Humidity, and Altitude 0 (Sea Level). As illustrated above, there are many excellent bullet choices for the 6.5×47 Lapua. Bullet choice will be dictated in part by the conditions that a shooter normally encounters. If wind is the primary consideration, a shooter might give up a bit of velocity for better BC, perhaps by choosing the Berger 140gr Hybrid over a lighter, faster bullet. Other shooters gravitate to the 123 Scenar, trading some ballistic performance for a bullet that is readily available, less expensive, and easy to tune. Some shooters also point their bullets (i.e., use a specialized tool to close up the meplat) to increase BC. Most precision die manufacturers (Forster, Hornady, Redding, and Whidden) now offer 6.5×47 Lapua sizing dies and seating dies. Here are some considerations when choosing a dies for the 6.5×47. Non-bushing full-length sizing dies will get the job done, but they may reduce neck diameter too much (even when used with an expander ball). That’s why we recommend a properly-configured bushing die or a honed die. Oversizing the neck reduces case life due to work hardening of the brass and eventual splitting of the neck. While Lapua is the only manufacturer of brass, die makers still have to make sure that any variation in neck thickness can be accommodated. With a bushing-equipped neck- or FL-sizing die, hand-loaders can avoid over-sizing the neck and have additional control over neck tension. EXPERT Tip: Once the proper size bushing is determined with your bushing die, the neck of a full-length, non-bushing die can be honed out accordingly (with just the right amount of neck sizing). Forster offers FL die honing for a modest fee. Honed bushing dies can yield very low run-out. We have found that different brands of 6.5×47 Lapua full-length dies vary in their ability to resize the base of the cartridge. Some shooters will run their 6.5×47 brass through a .308 die to resize the base when chambering becomes difficult, while others find this step unnecessary because they are using a different brand die. Shooters are advised to work closely with their gunsmith and choose a die that is most compatible with their chamber dimensions. We have also found that some 6.5×47 Lapua FL dies will push the shoulder back further than other dies (when there is full contact with shellholder and max cam-over of lever). Note that the amount of flex in your reloading press will affect how much shoulder bump you can achieve. If you are unable to get enough shoulder bump with your sizing die, you can modify your shellholder to move the die down a few thousandths. A variety of seating dies are available for the 6.5×47 Lapua. Some will require a different seating stem to accommodate VLD type bullets. Others have more accurate and easier to read calibration dials. While most hand-loaders will use threaded (screw-in) dies, Wilson 6.5×47 hand dies for use with arbor presses are available. Finally, reloaders can go the full custom route for a surprisingly reasonable price. A reloader can send Whidden Gunworks some fired cases or a reamer print and end up with a custom set of dies. While the 6.5×47 Lapua will work with a variety of small rifle primers, the CCI 450 primer seems to be a favorite. Travis Redell of Rbros Rifles conducted extensive tests and he too found CCI 450s to be the most accurate (CCI 41 primers give the same results). Federal small rifle match primers are accurate and give consistent results too but are softer and may be more susceptible to primer piercing due to the inherent high pressures of the cartridge. Many shooters claim the CCI 450 is more resistant to primer piercing as it is a magnum primer with a thicker cup. Other shooters have addressed the issue by bushing their firing pins. The authors of this load guide use Defiance actions with .062 firing pin apertures and have not experienced any primer piercing or cratering with CCI 450 primers. The foreign-made Tula Small Rifle magnum primers also have pretty tough cups. They are worth trying for high-volume applications. John Siebel, creator of the VarmintsForFun.com website, put together a 6-6.5×47 Varminter with a Lilja 10-twist barrel, BAT three-lug action, and Richard Franklin Model 10 Varminter stock. John has published load data on his site that provides starting points for 75gr and 87gr projectiles. John writes: “The 75s and 87s will be my main groundpig/varmint rounds. I used CCI 450 primers for all loads. They have shown to reduce ES greatly. This case has a small primer pocket and I reasoned with the slower burning powders I wanted to get my velocity as high as possible. I had plenty of H414 and N550 … so that’s what I tried. Velocities and case fullness seemed to be pretty dang good.” John certainly wasn’t the first to neck down the 6.5×47 Lapua to 6mm. Various 6mm “wildcat” versions of the 6.5×47 cartridge have been built for benchrest and tactical applications. But considering the “fun factor”, we like John’s application of the 6-6.5×47 as a high-velocity, varmint/hunting round. John favored Vihtavuori N550 for the 75 V-Max, while H414 was his powder of choice for the 87gr V-Max. John found these two powders offered near 100% fill density. CLICK HERE to view John’s load details and the view more photos of John’s handsome varmint rig. As of June 2015, Lapua is the only major manufacturer offering loaded 6.5×47 Lapua ammunition. Offerings include the 100, 120, 123, 136 and 139gr Scenar bullets. The Lapua factory ammo is beautiful stuff and very accurate. However, it’s pricey. At $2.50-$2.70 per round (at Grafs.com), this ammo represents a serious investment. Do remember that the brass is good for many reloadings, which helps defray the cost. With a new 6.5×47 rifle, AccurateShooter.com says it’s not a bad idea to start with one box of Lapua factory ammunition, provided your chamber is appropriate. Factory ammo is ideal for function-testing your new rig. Morever, the Lapua ammo will provide a good accuracy baseline that will help when you start reloading your own 6.5×47 ammo. As the 6.5×47 Lapua cartridge was designed for competition, one might think that it’s not suited for hunting. In reality, the 6.5×47 Lapua is effective on a variety of small- to medium-sized game. In heavily wooded areas like the U.S. Pacific Northwest, there is little need for a heavy-recoiling rifle when most game is taken well within 200 yards. Mild recoil and flat trajectory are just the ticket for a beginning or youth hunter. Furthermore, it’s not considered a military cartridge so it doesn’t pose a problem in countries with restrictions on cartridges such as the .308 Winchester (7.62x51mm). This buck was taken with a Savage fitted with 6.5×47 Lapua “pre-fit” barrel from Criterion Barrels. The load was a Hornady 123gr A-max pushed by 40.0 grains of H4350 and CCI BR primers. The hunter posted: “The first round hit right in crease of shoulder, broad side at 185 yards. The buck hunched up, wobbled ten yards and dropped!” Photo by KYyoteStalker. The authors of this article use the Berger 130 VLD Hunting bullet in competition and they intend to use the same configuration for hunting. Is this enough bullet to take deer? Absolutely. Consider this: a 130-grainer launched at 2900 fps has 2002.5 ft/lbs of energy at 200 yards, according to JBM Ballistics. By contrast, a typical 30/30 Winchester load (160gr Hornady FTX bullet, 2300 fps MV) has just 1289.3 ft/lbs of energy at 200 yards. That means the 6.5×47 Lapua packs 55% more punch than a 30/30, the “classic” deer-hunting cartridge. Need a lead-free bullet? Look no further than the Lapua 140 Naturalis – load data can be found in the chart above. The cartridge can also be necked down to 6mm and this makes for an excellent varmint cartridge. See John Siebel’s 6-6.5×47 report above. 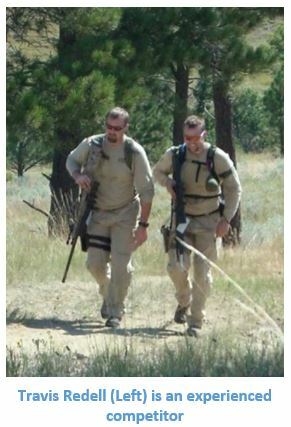 Travis Redell is the founder and owner of RBros Rifles, a custom rifle builder based in Elma, WA. 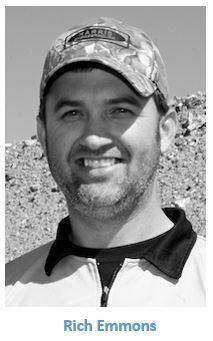 Travis specializes in long range precision hunting and competition rifles and is also an avid competitor. RBros Rifles was one of the first gunsmiths in the U.S. to chamber rifles in 6.5×47 Lapua. Travis has learned much about the cartridge along the way. In early 2006, a customer heard about the new 6.5×47 Lapua and thought it would be a great hunting round and asked Travis to build a rifle. Travis discovered that the initial batches of brass had some consistency issues. A year later another customer ordered two rifles and insisted that Travis chamber them in 6.5×47 Lapua. Higher quality brass from Lapua combined with a slightly different throat design resulted in two spectacularly-accurate rifles with the ability to achieve competitive velocities. Travis is happy that he didn’t give up on the cartridge and today he enthusiastically recommends it to his customers. At the time of his first rifles chambered in 6.5×47 Lapua, almost everyone was using Reloder 15 powder because that was the only reliable load data that was available. Due to the temperature sensitivity of the powder, shooters typically had morning and afternoon DOPE due to temperature driven velocity variations. Over time, Travis has tested a multitude of different powder and primer combinations with varying results. Several years ago, he tested the combination of CCI 450 primers, H4350 powder, and Berger VLD 130 bullets and everything came together from an accuracy and consistency standpoint — day after day. Travis recommends this combination to his customers but he also continues his testing of new reloading components for this cartridge as they come to market. Travis has observed that H4350 granules have become slightly larger over the past few years and take up slightly more space resulting in a slightly compressed load. Travis is now using a drop tube to settle powder charges and pours it in slow. Travis has also observed that recent lots of the H4350 seem to run a little hotter than in years past so he recommends that customers watch for pressure signs and adjust their loads accordingly. As for ongoing load testing, Travis is currently investigating Varget powder in combination with the Berger 140gr hybrid bullets as well as the newly introduced IMR 4451 powder. In a quest to find the ultimate 6.5×47 Lapua load, Travis has run extensive tests on a wide range of bullets, all the way from the 95gr V-Max to 140gr JLK VLD. He concludes that the Berger 130 VLD is an excellent compromise. The 140 VLD can be temperamental, whereas the 130 VLD has good wind bucking abilities and almost keeps up with 6mm bullets. Travis sees a lot of promise with the Berger 140 Hybrid because it is very jump tolerant. In his testing he ran 140 Hybrids from .010″ to .080″ off the lands and there was no change in accuracy. As for the Berger 130 Hybrids introduced in early 2015, reviews have been mixed. Travis emphasizes that people need to be careful as there are many variations in freebore lengths and angles with the 6.5×47 Lapua. While the case can handle high pressures, reloaders should exercise good judgment and caution. Shooters need to work closely with a gunsmith who can start them with recommended loads for their rifle. If you search the internet for information on 6.5mm cartridges chances are you’ll come across the name Zak Smith. 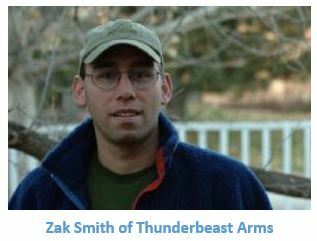 Zak is well known as one of the founders of ThunderBeast Arms, but he also has written several notable articles prior to 2010 which explore the capabilities of several mid-sized 6.5 cartridges. Zak took notice when Lapua, a premier cartridge and ammo components supplier, introduced a brand new 6.5mm match cartridge. At the time, most precision competition shooters were satisfied with the .260 Remington as the 6.5mm cartridge of choice. As an engineer, Zak undertook a year-long project to shoot, test, and study the 6.5×47 Lapua and compare it to two popular 6.5mm cartridges (.260 Remington and 6.5 Creedmoor). The authors of this guide reached out to Zak in April of 2015 to see if he had any new insights to share since his articles were initially published. Zak states that he doesn’t believe in the arguments of intrinsic accuracy of one cartridge over another. However, he noted that it is hard to find a load in 6.5×47 Lapua that doesn’t hold ½ MOA or better. With a lot of other cartridges, there’s more messing around to find the right match load – unless you copy your buddy’s match load. The 6.5×47 Lapua is a solid cartridge for managed recoil 6.5mm shooting. If not loaded hot, barrel life should exceed the .260 Remand that’s something to consider. Zak points out that a .260-sized cartridge with a smaller primer pocket might be the ticket as it could be loaded to a lower peak pressure and/or dwell time and get the same ballistics as the 6.5×47 Lapua but longer barrel life (i.e., like some do with .243 vs. 6XC.). At the end of the day, something with a little more powder capacity but still in the .308-size envelope might be the sweet spot for 6.5mm. Which 6.5mm cartridge is best for competition? Zak will typically address this by evaluating how the shooter wants to resupply ammo (factory or hand loads) or if the person already has a rifle chambered for one of the cartridges. If recoil management is a factor or most of the targets are inside 1200 yards, the 6.5×47 Lapua might be a better option. If you don’t hand load, 6.5×47 Lapua may not be the best choice due to limited commercial ammunition offerings. After reading Zak’s articles, and having had a chance to speak with him, it seems that one cannot go wrong choosing either of the 6.5mm cartridges reviewed. As discussed above, personal preferences and circumstances should be the primary drivers. So what does Zak currently shoot? After shooting 6.5×47 Lapua for a year, after having shot the .260 Rem for about a year, and shooting a borrowed 6.5 Creedmoor in the middle, when the dust settled, he stayed with the .260. One palpable difference with the 6.5×47 Lapua was that hits on far steel were harder to see compared to the loads he was using with the .260. There were also some differences in wind calls, and while some might consider those differences academic, Zak points out that shooters take all factors into consideration. Rich Emmons is the founder and a member of the Board of Directors for the Precision Rifle Series (PRS). The PRS has been collecting data on PRS competitor gear and equipment since 2012 and this data includes cartridges. 6mm caliber cartridges have become very popular in PRS competition due to their flat trajectories and wind bucking abilities. As for 6.5mm caliber cartridges, the .260 Remington has faded in popularity and even the 6.5 Creedmoor has faded a bit, but the 6.5×47 Lapua has grown in popularity among the top PRS shooters. Rich shot the .260 for a long time and moved to the 6.5 Creedmoor when it was introduced and was becoming popular. He knew the 6.5×47 Lapua was a relatively new yet capable cartridge but was reluctant to move to it right away because of the cost of brass. Rich read Zak Smith’s article comparing the 6.5×47 Lapua with the .260 Remington and 6.5 Creedmoor and decided to give the 6.5×47 a try. Rich was attracted to the long brass life of the cartridge and the ability to seat bullets longer than the .260 Remington or 6.5 Creedmoor while staying within the dimensions of a .308 magazine. Rich has been able to get more reloads out of his 6.5×47 Lapua brass than he was able to get from his .260 Remington or 6.5 Creedmoor brass. He is well past ten reloadings with his 6.5×47 Lapua brass and some of his close friends have reported over twenty firings with their Lapua cases. Rich attributes the long case life to the use of small primer pockets, brass wall thickness and the overall design of the case. Rich’s “go-to load” consists of 37.5 grains of Varget powder with a Berger 140 grain Hybrid bullet and CCI 400 primers. The velocity he achieves is around 2775 FPS. Rich reports that those using Varget with 140 Bergers are finding the accuracy nodes typically occur between 37.0-37.5 grains of powder, with velocities in the 2750-2780 FPS range. These are warm loads and given lot to lot variations in powder, reloaders need to exercise caution when working up their own loads. Rich has played around with seating depths for the 140 Hybrids, all the way from .100″ out to touching the lands and he didn’t notice any significant differences in accuracy. He will run his Hybrids about .010″ to .020″ off the lands in a new barrel. “Set it and forget it” says Rich. It is very easy to tune an accurate load and it is very consistent. Rich says he’s shot out half a barrel life in 6mm (400-600 rounds) trying to tune a load for a rifle. Rich has experienced coming full circle in going to 6mm projectiles in competition (6XC, 6CM, .243 Winchester) and then coming back to 6.5mm in the 6.5×47 Lapua. Rich says another benefit of 6.5×47 Lapua is the overall cost of shooting the caliber. While the initial investment in the brass is significant (about $1 per case) the cost savings accumulate over time because the brass lasts so long when compared to other cartridges. Barrel life is another consideration. His last barrel shot well into 3000 rounds and was still accurate. In 2014 there was a noticeable shift in competitors moving to 6mm cartridges. A key driver was Team GAP moving to 6mm Creedmoor and a lot of people followed suit. However, a number of shooters are placing well or winning matches shooting 6.5×47 Lapua and others are taking notice. A 6.5mm 140 Berger Hybrid moving along at 2750 fps is very capable of getting the job done. You don’t need a projectile going at 3000 fps to win a match – you just need a consistently reliable load that shoots well. Rich says from his vantage point the 6.5mm doesn’t give up anything to the 6mm – and in fact there are probably more advantages such as the ability to more easily spot impacts and misses at distance. It also makes it easier for those spotting and recording impacts at matches. Rich predicts that the 6.5×47 Lapua has a bright future ahead and it will be a predominant 6.5mm cartridge for at least the next 5-10 years. He sees a trend ahead with 6.5 SAUM and other wildcat 6.5s growing in popularity in PRS competitions. A big consideration for most wildcat shooters is the start-up cost of new dies and forming improved brass. As factory brass becomes available in the near future for some of these cartridges, shooters will follow. Everybody chases speed and better bullets in hopes to save a few inches of wind drift, however, our game is not necessarily a game of inches, it can certainly help but usually too many other factors cause us to miss shots on steel. Here you’ll find information on the 6.5×47 Lapua cartridge straight from the manufacturer, including a rundown of Lapua’s 6.5×47 loaded ammunition. Published in 2008, this ground-breaking article by Zak Smith for 6mmBR.com was the first in-depth examinations of the 6.5×47 Lapua from the standpoint of a practical rifle shooter. Zak did extensive load testing; his favored accuracy loads are included in our Load Data table. In this article Zak Smith performs a comparison between the 6.5 Creedmoor, .260 Remington and the 6.5×47 Lapua. Zak did an excellent job exploring the benefits of 6.5mm cartridges in general on his 6.5mm Shootout article. Carl Zant, who runs the PrecisioRifleBlog.com, has been a leader in analyzing equipment trends among competitive shooters, particular PRS shooters. Interesting insights regarding the use of the 6.5×47 Lapua can be found in Cal’s blog article. Veteran Benchrest shooter Darrell Jones built one of the first-ever benchrest rifles chambered for the 6.5×47 Lapua. In this interesting Gun of the Week feature, Darrell talks about loading the 6.5×47 for accuracy with particular attention to die selection, brass prep, and load development. British gun writer Laurie Holland analyzed the present and possible future of the 6.5×47 Lapua cartridge. Laurie makes some interesting points, considering the role the 6.5x47L may play in competition, particularly in 300 to 600-yard benchrest. Laurie also speculates that the 6.5×47 may become a popular hunting round. There is that intangible something issue though that sees one cartridge become “great” in a shooting field, while others that should theoretically compete somehow never quite get there. The example that comes to mind is the PPC in short range BR of course[.] The PPC outshoots similar rivals, and we don’t know why. At the moment, the 6BR and BRX/Dasher variants look like they may be getting to the same point in 300 to 600-yard BR type competition. That’s not to say they won’t be pushed out of the top spot by something better, or even matched by a rival, but it looks like it won’t happen quickly or soon. The 6.5X47 Lapua likely gives a significant benefit even at 600 yards over the 6mmBR thanks to the external ballistics improvements in such a scenario. So, accurate and ballistically-efficient smaller cartridges that give long barrel life have a bright future … and I think the 6.5X47 Lapua is going to be a key player in this role. Also many people want a multi-purpose long-arm, and this cartridge is an excellent long-range fox/crow round and ideal for most of our deer species too.